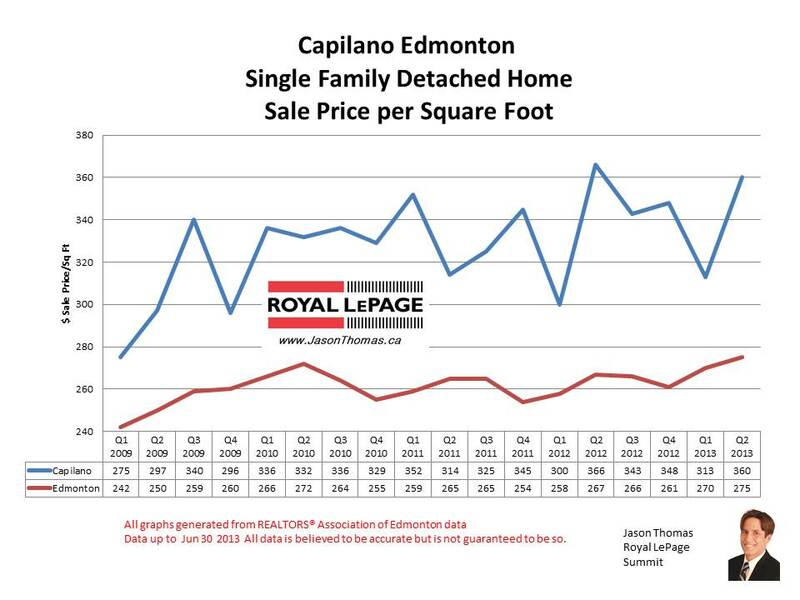 The Capilano Edmonton real estate sale price per square foot has moved up to $360 in June of 2013. Capilano hasn't sold for less than $300 per square foot since 2009. The area has the popular Suzuki Charter school, and the access to the River Valley and Henday Freeway aids to the Capilano neighbourhoods desirability. The highest selling price for a house in Capilano in 2013 has been $755,000. The average time to sell a home in Capilano has been lightning quick at 14 days! That is very fast when you consider that conditions are normally 7 to 10 days on an offer. The Edmonton average days on market of 41 looks sluggish compared to that!